A Robust Stylish and fully equipped Built In Grill. Offers six heavy duty 304 Stainless steel burners making even the most beginner chefs able to craft professional meals. It is also equipped with the ceramic infrared back burner great for when you cook a large roast or use the heavy duty rotisserie kit that is included. The halogen lights in the cooking area are great for cooking in the evening or darker hours and it also has stylish LED lights on the control knobs. 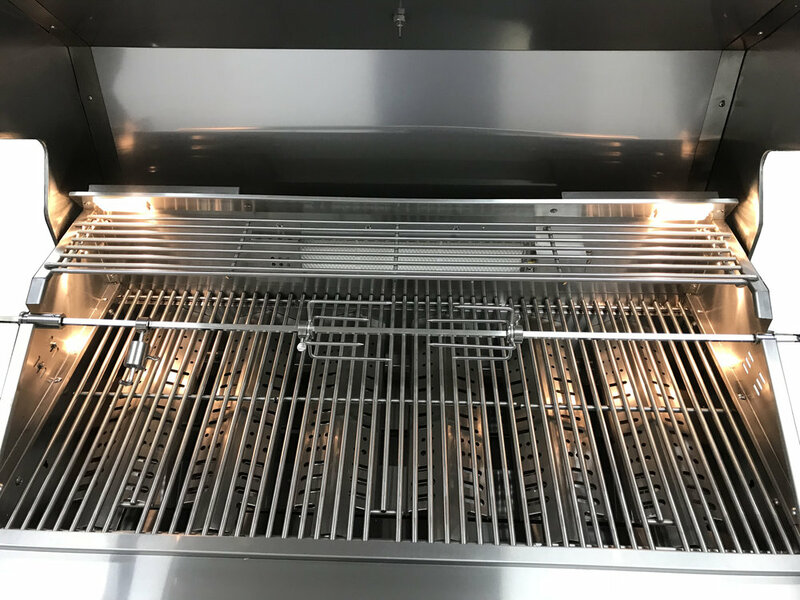 The Mont Alpi is the only Grill to have the all new "Heat Wave" Double Layer Sear plates to enhance your cooking experience. This helps reduce the grease flair ups, retains Heat and encourages smoke, smells and flavors that are essential from your bbq. 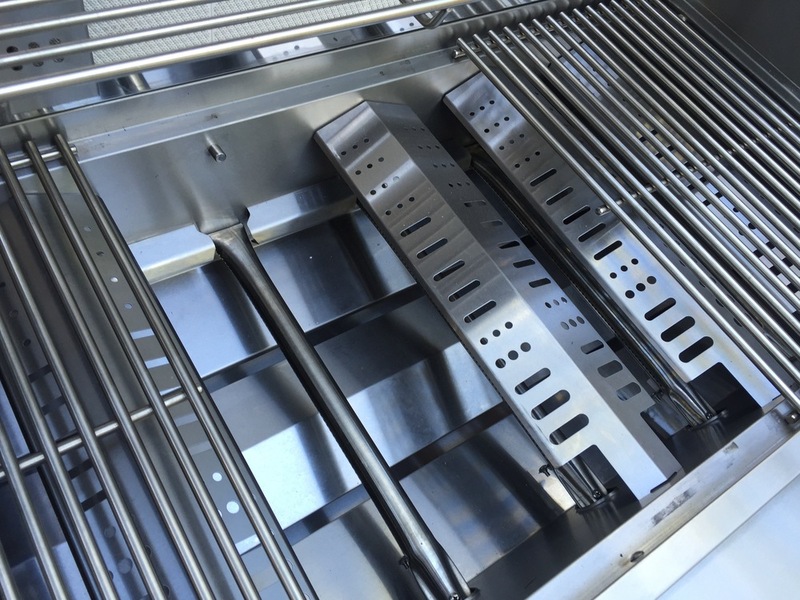 All stainless steel structure on the Mont Alpi Built In is Marine Grade 304, so it is a very heavy duty and weather resistant Grill and stands up to whatever the elements may be. Six main 304 Stainless Steel Tube Burners.